This sampler release on Discover features twor emixes by Jon O"Bir and Simon Bostock picked to give you a tempting glimpse of what the album has to offer. 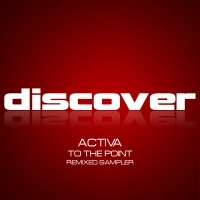 Enjoy the release and make sure you check out the full release of Activa's excellent "To The Point - Remixed" album now on full release. 'To The Point - Remixed (Sampler)' is available now from Beatport and iTunes.